Product information "Tank plating system - Basic kit"
High quality for a low price! Perfect for beginners and experts, for your own gilding and silver plating. 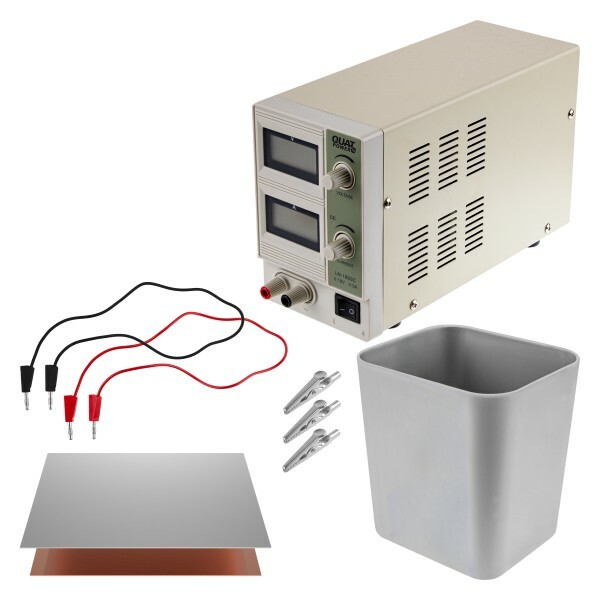 This kit offers you everything you need for tank electroplating. Whether its jewellery, electrical contacts or other ornaments – with our galvanic system, you will be able to gild, silver-plate and copper-plate in a professional way. We are gladly at your disposal for any questions. Related links to "Tank plating system - Basic kit"
Instruction manual for Tifoo Tank plating system - Basic kit as PDF file. Customer evaluation for "Tank plating system - Basic kit"